WHAT’S THE BEST FOR YOUR EVENT? So you’re looking for the perfect venue for your special event? Whether you’re setting up a business meeting, hosting a charity gala or throwing an engagement party, it’s important to choose the right place where it is spacious, comfortable and it suits well with the event you are planning. Of course, if it’s just a small barbecue party with your friends it’s enough to hold it in your backyard overlooking your garage door in Tampa. There are several factors you should consider in organizing a successful event. One of the most important and should be first on your list is the event venue. Other things like a number of guests, date of the event, theme, and decorations, and catering arrangements will depend on the venue you choose. Actually, before getting down to choosing the venue, decide on a budget first. Once you know your budget and figured out that it may not suffice, the next step is to check if you can raise the needed amount from sponsors especially during organization and charity events. In planning for an event, you may have to book months before the date of the celebration for everything to be in perfect condition so you also need to finalize a date as soon as you can. Many restaurants and function halls that are in-demand require this. Furthermore, the type of event you are organizing should have all the amenities your event would require from you. Does it have any performances involved? Then perhaps it needs a stage. While all events need good seating arrangements inside the hall, for some like theatre performances or concerts this is a high priority. 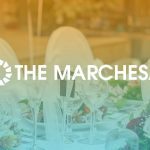 In The Marchesa we have a list of rooms you may consider while picking a venue for the event you are organizing. Theather Hall – Organizing a theatre performance? First to consider is the seating size. Know the numbers of your guests and choose what type of seating arrangements you want. The Marchesa can accommodate up to 3000 seatings with a flat floor and balcony boxes and layered seating. These are the must-have in the theater hall. Workshops – Usually audiences for the workshop is around 50 to 100 people. However, our workshop rooms can carry double the size of typical workshop venue. We offer our large hall as a venue for your workshop event. In our large hall room, you can make sure that there is enough space for you to do the things you need in your workshop event. Our workshop room has an adequate furniture and enough technology. Convention – If you are organizing a conference, hotels or large convention centers are the perfect and ideal venues. Unfortunately, we only offer our large convention hall. Do not worry on how it costs you it will not exceed in 35-40% of your entire conference budget because we offer packages for a large number of guests especially for a big conference and you are inviting people from all over the country. Our package included travel, accommodation, and meals. These are the few of the many rooms we offer in The Marchesa Theater Hall. World-class performing arts and venue.